Mavis Pittilla has worked with Kabalic Masters on the shores of Galilee, has demonstrated mediumship in South Africa accompanied by a Soweto choir from the shanty towns, has worked in Ireland during the troubles supporting both Protestant and Catholic families (all feeling the same pain in grief), and has worked and taught in countries throughout the world, including America, Canada, New Zealand, Holland, Norway, Iceland, and Spain to name a few. Throughout the years Mavis Pittilla has been fortunate enough to witness physical mediumship in a way it is unlikely to be seen again. She is a keen proponent of the tarot cards and has practiced the art for over thirty years. She was introduced to the Arthur Findlay College by Gordon Higginson in the late sixties and she became a tutor and eventually senior tutor. Her great passion is teaching whether it be the fundamentals or advanced mediumship. Mavis provides master classes for tutors and has been instrumental in helping to develop many of the younger mediums currently working in England and abroad. The author of the book “Mavis with Spirit,” Mavis Pittilla has recorded numerous CDs including “The Spirit Within” and has also appeared on several television programs. She has recorded several films including Channel 4’s ‘The Reunion” (England). Bob Olson, Afterlife TV: Hi everybody, this is Bob Olson with Afterlife TV. You can find us at www.afterlifetv.com. This is where we search for evidence of life after death and ask the meaningful questions around that subject. Today’s question, we’re really going to ask about why people, our loved ones in spirit, want to communicate with us. We know why we want to communicate with them – that’s pretty obvious. Why do they want to communicate with us? What’s in it for them? We have an incredible guest here today to help answer that question for us. She was recommended by my friend, James Van Praagh. He said, “You’ve got to have this woman on,” and I did a little research and found out exactly why. It’s amazing! What a career she has had. Recently, she was presented with the Long Service Award by the Spiritualists National Union. That was back in May of 2011, and you’re going to find out a little bit more about her. Let’s just welcome her. Thank you so much Mavis for coming, I really appreciate it, and am honored that you’re here. Mavis Pittilla: Thank you very much for inviting me, Bob. Bob Olson, Afterlife TV: Well, this is exciting for me. You’ve had a wonderful career, quite a journey that begins, from what I understand, you saw your first spirit back in 1966, and started your journey as a medium. Tell us a little bit about that. Mavis Pittilla: It was a bit of shock because I was very sick. I’d only been given three months to live. Bob Olson, Afterlife TV: Oh my goodness! Mavis Pittilla: I just saw a gentleman as clearly as I’m looking at you, I could hear him as clearly as I hear you, and he said, “Go and find a healer,” or I wouldn’t hear the New Year bells. And that’s how it all started. Bob Olson, Afterlife TV: That’s kind of a scary message to get. You must have been shocked that this person appeared before you. Mavis Pittilla: Absolutely! But it wasn’t scary really because they had been investigating for quite a long time, and I had to have surgery. And of course, they didn’t have scans and things like that in those days. So I found a healer eventually and I went to a spiritualist healer. Then of course, it became erratic where I – you know people would visit me and I’d say, “Oh, don’t sit there, my granddad’s there.” “Oh, don’t sit there, the cat’s there.” And I put everybody off me. So I knew that I had to learn to discipline it. Of course, the disciplining of natural mediumship is so very, very difficult. Bob Olson, Afterlife TV: I’ve seen that with a lot of mediums just getting used to it, not putting people off, not going into a restaurant and stopping somebody and giving them a reading – some stranger, you know. Mavis Pittilla: Absolutely. That’s happened to me many times and I lost a lot of friends. Then I was fortunate to meet a guy called Gordon Higginson, who was the president of our union. He took me under his wing and taught me the disciplines and how to approach it. But you know sometimes, Bob, I’d like to go back to those early beginnings when it was so spontaneous and natural. I’d love to have those days back again. Bob Olson, Afterlife TV: I kind of understand. As enthusiastic and passionate as I am about this subject right now, about investigating the afterlife; when I first started, this was just in 1999, so in comparison it’s nothing, but I just remember how exciting everything was for me. I was like a kid at Disney World. Because everything was so new and so exciting, so I can kind of relate to that. Mavis Pittilla: Yes, it was wonderful, a wonderful way, and Disney World’s one of my favorite places. Bob Olson, Afterlife TV: Really? Well maybe we can go together. In the same decade, in the 60’s, you actually started – am I right, you started teaching at the Arthur Findlay College, is that true? Bob Olson, Afterlife TV: Why don’t you tell our audience, because I’m sure a lot people aren’t familiar with Arthur Findlay College. Tell us what that is. Mavis Pittilla: Well, it’s a college for spiritual and psychic studies. So they have many, many varying courses there. And it’s to teach people to understand the gifts that they’ve got. Because many people, at the beginning, don’t know why this happened, don’t know what to do with it, and when you come to the college you go through a training system where we teach you how to control it, how to actually get the communication to work at the right time, in the right way. We also teach the philosophical side of mediumship, and of course, about life after death, the spirit world, and things of that nature. So the courses run weekly and I think I must have lived there at the beginning and I loved every moment of it. It’s an old mansion, and if you’re not careful your imagination can run away with yourself and you can think you see all kinds of things. Bob Olson, Afterlife TV: That’s got to be fun. That sounds exciting to me. You know I have to go there one day. I’m surprised actually, that I haven’t gone there yet. Ever since I first started researching mediums, I was in with people who had been to Arthur Findlay College, and they just couldn’t say enough wonderful things about it, and every once in a while they would have people who taught there come over. Like Brenda Lawrence would come over, I remember. Mavis Pittilla: Oh a good friend of mine, Brenda Lawrence. Bob Olson, Afterlife TV: And I was so excited because I sat down and had dinner with her and a bunch of other people. Boy, what a great storyteller she is. Bob Olson, Afterlife TV: I heard things that I never heard about before. But the best mediums that I have met and worked with over the years now, have seemed to go back to Arthur Findlay College, many times. You know once a year, often they’ll go for a couple of weeks. Mavis Pittilla: I suppose it’s our Mecca. You know, it’s the one place where you can go and it’s steeped in spiritual history, really and you’re with people of likened minds. It’s good to be and converse with people of likened minds. Bob Olson, Afterlife TV: I imagine. You go through life, a lot of people don’t understand you, your family and everything, and finally you’re with people who have been going through the same stuff that you’ve been going through. Mavis Pittilla: Absolutely. And you feel comforted, supported, and it’s a wonderful place to be when you’re starting the journey. Bob Olson, Afterlife TV: I love it. Now is there any reason for someone like me; people who are not mediums or psychics, to go there, or is it just for psychics and mediums? Mavis Pittilla: Well, I think that to get an insight on life after death and mediumship, is important for everyone. Then you can make your decision whether it’s for you or not. 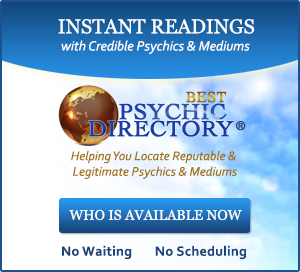 You see, I don’t think mediumship is for everyone. I don’t think even the communication between the two worlds is for everyone. I really believe that we are all on a journey, and as long as we act spiritually, we are fulfilling our destiny. Bob Olson, Afterlife TV: I couldn’t agree with you more. I feel that way. Weekly, I think about how that is so true and that, for me, it was the loss of a loved one that brought me into this field. But, it was what I learned about life that was even more valuable than what I learned about the afterlife. Amazing. Mavis Pittilla: Absolutely. And of course, we live by seven principles. So, when you’re at the college, you would see the principles, you talk about the principles. It changes the inner and the outer self. Bob Olson, Afterlife TV: That’s beautiful. Mavis Pittilla: Of course, this is what it’s all about. If you are at peace with what you’re about, what philosophical outpouring you’re following, then you can only help humanity, which is, of course, what we’re here for. Bob Olson, Afterlife TV: As you just said a moment ago, you don’t need to be a medium to do that. Mavis Pittilla: No, not at all. Many people from different walks of life, that help humanity, are actually fulfilling their soul’s calling. And that’s really ultimately what it’s all about. We look at you, and people like you, who are the pioneers really. “You’re one of the pioneers.” I say this to James and he laughs at me, but you’re the pioneers. You’re taking the world of natural law into a new dimension. So, your destiny is being fulfilled because you’re following what your soul is telling you what to do. Bob Olson, Afterlife TV: Yeah, right. Yes. Well, and at the beginning I can remember thinking, why am I doing this? But you do, you feel driven to do it, so you just follow that, right? And then what was interesting is, over the following week or so, I had had a bunch of contact from friends and relatives who had lost a loved one of some sort. Someone that I didn’t know, but they knew, and they lost them. They said, “Bob, thanks to your work, thanks to what you’ve been doing and all that you told me about, I’ve been able to deal with this so much better than if I hadn’t learned these things. Thank you so much.” And that’s what brought me back into it. Bob Olson, Afterlife TV: I saw some purpose in it, you know what I mean? Mavis Pittilla: Yes. There is a strong purpose in it for two worlds; because the spirit world every time you create a program like you’re creating now, they’ll be someone in the spirit world that’s saying “Thank you very much, Bob,” because your feeding to somebody of my family who will eventually research and find out where to go to get some help and support, so it works from two worlds. Bob Olson, Afterlife TV: It does. Maivs Pittilla: You know the thanks come from this world, but magnify them a thousand times from the spirit world. Bob Olson, Afterlife TV: And we’re going to get to that in just a moment, which is really what I’m excited about. I do want to ask you a couple of things. There seems to be, from my perspective, a difference between the British styles and American styles of mediumship. Have you noticed this yourself? And if so, what would they be. Mavis Pittilla: Yes, it’s very different. The way we train our people is that you have to have the full content of the evidence before you go into the message. Where in America, it seems to be more, once you’ve got the person, then give the message. I feel that sometimes in America – we have it here in England so I’m not saying we don’t have it – it turns into counseling. You know, they start off, and then suddenly they’re fine. They’re telling the person what to do and it’s not coming from the spirit world because there’s not enough evidence to substantiate that they were there. So I think that that may be the difference. Mavis Pittilla: Oh, they do. Bob Olson, Afterlife TV: …long before they could start giving the vague messages that were unsubstantiated. They were great messages, but leave those till last; the messages of love, and forgiveness, and all that. Mavis Pittilla: Yes, and it has to come at the end, because other than that, then the spirit world are dissatisfied. So, all we’re thinking about is satisfying two worlds. I believe, you see, we are healers between two worlds. We heal that gap between this world and the next. So, as we’re taking care of the people here, we’re taking care of the people in the spirit world. If we haven’t given enough evidence that they are there, then they’re going to feel unfulfilled at the end of the sitting. Bob Olson, Afterlife TV: Well, perfect segway into what you and I wanted to talk about today, which is, why do they want to communicate with us. Let me say this, because our audience here at Afterlife TV; we’ve had a lot of people who’ve had near death experiences. One of the common things people have said during their near death experiences, is that – not all of them, but some of them said, “I wasn’t even thinking of my loved ones back on the physical planet. I wasn’t even thinking of them, I was just going through this experience and I felt very…” There wasn’t a connection. There wasn’t a longing, or a worrying, or any of that with their earth human life here. They were just going through what they were going through. And a lot of our viewers have been confused by that. “Oh no, what do you mean they don’t think of us.” I have a feeling that there’s just stages that they go through; the initial stage, which is what people who have near death experiences have, and then when they actually get to the spirit world, they seem very connected with us. Do you have a perspective on that? Mavis Pittilla: Well, I think if you are looking at near death experiences, you’re looking at actually similar to what happens at death. Usually they talk about going down a tunnel and coming into the light. There’s some much going on within them to get through that tunnel to the light, that I think that that’s what sways it a little bit. They can’t think of anything but this moving forward. It must be dreadful to know you’ve got to go whether you want to go or not. You can’t avoid it. It’s like, that’s what it’s like. So I suppose they’re not thinking about family in any world at that moment. But as they’re going over, about a fortnight, three weeks, three months before, there would have been a call in the spirit world to say that they’re going. Even if it’s an accident. It doesn’t matter how they’re going, they will be called, so the people will be ready waiting for them. Once they’ve got them settled, then the first thing they’ll want to do is call home and that’s the way it is. Bob Olson, Afterlife TV: Now why, why would they want to do that? Mavis Pittilla: Well, why do you want to call home when you go to the Bahamas? Bob Olson, Afterlife TV: Well, I get that, but I think a lot of people have a feeling – you know, us teachers who teach about this stuff say, “They’re always with us, they’re always aware of what’s going in our life,” and that sort of thing. So sometimes we think, “Well, they don’t need to make contact with us,” but obviously that’s not true. Bob Olson, Afterlife TV: I see. Mavis Pittilla: …to help to unfold the story. Now, the reason for communication is love, like life can never die. So that loophole that they have here has a lot to do with them making contact. The second thing, of course, is if they perhaps feel that they did a disservice to a member of their family or a friend, they’ll want to come back to give them compensation, to say “I’m sorry.” So there’s more than one reason for communication from their side. Bob Olson, Afterlife TV: And so it’s very much as though there’s still a part of them that’s involved in this lifetime. Very much so, right? Mavis Pittilla: Oh, absolutely! Because some of them really didn’t want to be over there anyway. So settling them down over there, part of the healing of them getting settled and happy and moving on, is always connected with putting everything right. Right in the end on this chapter, so that you can move on and communication helps them to do that. Bob Olson, Afterlife TV: Okay. Now, one of the things I’ve heard you speak about is how they view us. How our loved ones in spirit see us. It’s just a lovely description of how they see us, and I think more people would benefit to hear your perspective on that. Could you tell us? Mavis Pittilla: My perspective on it is really that, first of all they see your light, they see your auric field. Then they see the love that you have and the grieving that you have; and that is the loophole. They want to heal you, they want to make you feel better. So, that’s the reason that they see you in that light. To them, you are all love and you’re their heaven. They’re loved best of all in your memory and in your heart. So, that’s where their heaven is sometimes, to just be around you. Bob Olson, Afterlife TV: So, in this way, obviously, they’re fully aware of when we’re thinking about them, when we’re looking at their photographs, when we’re talking about them with loved ones. Even when we attend, say their funeral or memorial services, they’re aware of all this, correct? Mavis Pittilla: Oh, I’ve had so many when I’ve been doing funeral services, telling me how to do it. You know, or stopping me and telling me something they want to say. So that’s not unusual at all. My sister, in particular. I did my sister’s funeral, and she interfered all the way through and it was wonderful. It was wonderful for me who was grieving for her, really. It helped me a great deal. And yes, they are there, but I want you to look at it from another point of view. They see you crying, they see your pain, and sometimes they will feel they caused it by going. So they’ll try to touch you, they’ll try to give you a hug, they’ll try to talk to you, and suddenly, they’ve become a figment of your imagination. For them, that again is when mediums are so necessary. So that we can remove the doubt and let the communication, have that intimacy between those two loving couples. 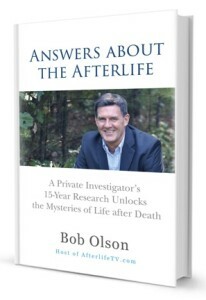 Bob Olson, Afterlife TV: So, in a sense, what you’re saying is – and many of us have experienced this but we have the doubt – we have a sense that we feel their presence in the room, but we chalk it up to our imagination or something. Is this it? Bob Olson, Afterlife TV: And that must be very frustrating for them, I imagine. Mavis Pittilla: Well yes, because they’ve taken their intelligence, they’ve taken their intellect, they’ve taken all their knowledge about you and their life with you, over. That doesn’t just suddenly change because they’ve gone to another world. They’re just living in a different form, but they still have all those memories. Bob Olson, Afterlife TV: You know a lot of this comes through in a reading with a medium, so anybody who has had one, and a lot of people of our audience have had one. A lot have not. And there’s many people in our audience who still are not sure what to believe; whether they believe in mediums or not. To me, I just say, the only way you’re going to get over your skepticism is by having a personal reading yourself. Sometimes it’s the little things that come through that, this stranger who is the medium, could not possibly have known, that is sacred to you. Those are the things that are going to make the big difference for them. Aside from that, for those who have not had one, and are open to it, what are some of things that they need from us, that they would like from us, aside from having a reading with a medium just on an everyday basis? Is there something that we can do for them? Is there a way that we can be more aware of their presence around us? Those sorts of things. Mavis Pittilla: Well yes, there is. I mean, people do meditation. I’ve got to say I’m not a great one for meditation. I’m well-known for that in the Arthur Findlay College. My mind’s too busy. But you know, if something happens, and you think “Goodness, gracious me, that’s just what my mother did.” Think, “Well, God bless you mum, I hope you’re alright. I hope you’re carrying on your journey,” and start a conversation with them. At the moment what we’ve got, and we’ve got it with our mediums as well that worries me, is it’s like they ask a question, but they demand an answer. And really, you can’t make demands on the spirit world, but you can hold communion with them. So you can talk to them, and hold a conversation with them. Keep a room free of perfume so that you might smell the perfume of someone you’ve loved. When you’re looking at the photograph of someone that you’ve got on a shelf, talk to them as you would if they were there. Then if it’s possible for them to be able to communicate with you, they will. They’ll do it in such a subtle way at the beginning; the touching of your hair, the wind just blowing across your cheek. They’ll start with such simple things. Bob Olson, Afterlife TV: That’s true. I often tell people just talk aloud to them, if you can. Mavis Pittilla: Oh, absolutely. If you’re in the car, and somebody loved driving and looking at countryside, talk to them about that countryside. And don’t be afraid if anybody thinks you’re mad; you’re not. It’s their loss, not yours. Bob Olson, Afterlife TV: That’s right. We could be talking on our cell phone or something, who knows? Well, that’s beautiful. Now what about prayer? I think we’ve learned through religion how to pray, but prayer is sort of the same idea. It’s a way of, if we’re praying for our loved ones, in a sense it’s way of communicating. Is there a right or wrong way to pray, and do prayers help our loved ones in spirit? Mavis Pittilla: Absolutely. What you’ve got to remember before you pray, is to thank God that there was somebody there to take care of them. Because it should be a thank you for their lives, a thank you for the blessings you’ve received from them, and then the blessings that they’re receiving now on this next phase of their journey. So I feel that the prayers that we give should be ones of thanksgiving. We’ve got to move away from religion where they demand. We have no need to demand. Our lives are fulfilled through the good we do and what we give away, not what we demand of other people. So prayers should always be based on a thank you. And you know, when you’ve got someone who has to leave here because they’re too sick to stay here, I sometimes feel that our prayers are to keep them here where actually, the healing is just asking for God’s divine intervention. I really believe that that’s unconditional love that you and I can give to those who need to go. And it’s a hard one, that one. You’ve got to love a lot to be able to let somebody go. Bob Olson, Afterlife TV: That’s true. Mavis Pittilla: But if you’ve got enough love and God’s divine intervention is there, they’ll go safely with your loving. Bob Olson, Afterlife TV: You’re right. Is there any reason that we ever need to worry about our loved ones when they have passed? They’re taken care of. It’s out of our control at that point, correct? Mavis Pittilla: Absolutely. You’ve got to remember that there are worlds within worlds, Bob. So that there are highly, evolved intelligent beings in that other world and they will be there as our loved ones are preparing for the journey, so they receive what is necessary for them to become strong and whole. And of course, you’re part of that necessary healing; the opportunity to communicate. 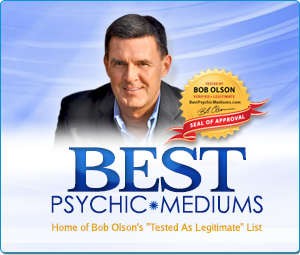 Bob Olson, Afterlife TV: I’ve been to a lot of medium demonstrations. For people who don’t know what that is, it’s when a medium is like on stage, in front of an audience, and often gives random readings to the audience members. I’ve been to many medium demonstrations, and quite often forgiveness is given from people’s loved ones in spirit. And often it’s requested. What happens – because I actually have seen this, when the people here are not ready to offer that forgiveness. What’s that like for them, in spirit? Mavis Pittilla: Well, they really will have good teachers over there that will help them to understand why. And they will have to face up. You know we have compensation and retribution in the spirit world. So if you have done something so bad, it may take many, many years before that forgiveness is found here. They may have to wait until you get there before it can actually be resolved. But they’re not in hell. They’re still going through that understanding that even if I’m not forgiven, I can still serve that person by sending them healing and good thoughts. And they’ve got a lot more patience than we have, because they’ve got eternity. We only think we’ve got this life. Bob Olson, Afterlife TV: Sure. And on that idea of eternity, I know many people have emailed me or made comments on Facebook or something about if their loved ones were to reincarnate and then they passed, would their loved ones be there to greet them. What’s your experience? Mavis Pittilla: That’s a toughy. That’s a real toughy. Now, what I believe, what I’ve been taught by the spirit world is this. That if you are born into a genetic structure of reincarnation, and you’ve got that genetic memory that this is what happens, then you will reincarnate. If you come from our type of religious background – I mean I’m Church of England, the High Church of England, that was my background. We are taught that we will go on until we reach God. So I know that it is how the structure genetically, and the genetic memory works. So if you’re not in that structural memory, then they won’t reincarnate. They’ll have to go through many worlds before they will understand and make the decision. And remember it’s their decision to reincarnate. In many of these genetic religious doctrines, they don’t get a choice. We get a choice. But they’ll be some in that genetic memory will have broken free from reincarnation. Mavis Pittilla: Now, when I talk to my teachers in the spirit world, my teacher tells me, “Oh, it’ll take you a 150, 250 earth years before you will be ready to even consider it.” And I think that’s right for me. Bob Olson, Afterlife TV: All right, well that’s interesting. Now, I ask this of a lot of my guests because I love all the different answers. So, I want to hear your perspective on this. I give some terminology to the different parts of ourselves, and this is just my terminology. I’m sure you have your own. So feel free to use your own. But, I think of the spirit that is Bob, is the spirit that’s within this body, and when I pass my spirit goes back into the spiritual world, the spirit world, and at some point merges back with what I would call my soul, my whole self. I’ll call that my soul. And my soul, or my whole self that is Bob, and George and Amy and Samantha, and all those other lifetimes that I have had, is the whole of that. So therefore, when someone asks me that question, I think well, even if someone were to reincarnate – I come from a very practical place, okay – Even if someone were to reincarnate, if Bob were to reincarnate, if that even exists, it might just be my soul just has another incarnation, you see. So to me it might not be that Bob reincarnates, it’s that the soul, my whole self decides to have another incarnation. So therefore, Bob never really goes anywhere and my soul never really goes anywhere because that part of me, the whole self, is always there in the spiritual world. Any sense to that at all? Mavis Pittilla: Wow! Wow! That’s blown my fuses. What I believe is that the soul, which is the vehicle through which the spirit moves and has it’s being, and I believe with the soul that is where your destiny is. It’s written within the soul. I believe your spirit is so pure that no matter what you get up to in this life, it will remain pure. Therefore, it will eventually work its way back to the “I AM,” which is God. But I do believe that the soul takes the many journeys that it must take, either in this world or the next, and as it learns, it actually will condense the best destiny for you. Bob Olson, Afterlife TV: Yeah, that’s beautiful. 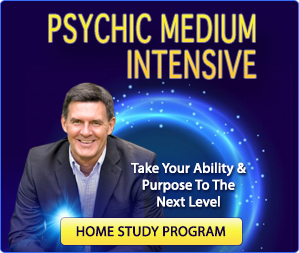 Mavis Pittilla: But you know, all your mediumship comes from your soul. All the faculties, all the abilities that you have for clairaudience, clairvoyance, clairsentience, clear knowing, objective, physical mediumship, they are all aspects of your soul. Bob Olson, Afterlife TV: I thought I heard you say recently on something, that you even thought that many mediums these days are too much in their head. Mavis Pittilla: Absolutely. They’re not using the soul. They’re using the conscious mind, because they’re having to think. What’s happened is people keep saying to tthem, “What’s the first name? How old were they?” And they have to put that question out then. So they do that with the mind. If you watch a good, good, solid medium they work from the power of soul. That’s where it begins. The ignition comes from the spark of spirit into the soul, into the physical, and there’s your flow. Bob Olson, Afterlife TV: How do us non-mediums, sort of translate that into our life now? I’m getting the sense that maybe it has more to do with coming from love. Any thoughts on that. Mavis Pittilla: Well yes, I mean, it’s the love. The spirit of you is so pure, it can love the unlovable. Now that love is fed into the soul and then fed into the physical and that’s where it comes from. So the true, perfect loving that we’re all looking for is there within the spirit of us. Bob Olson, Afterlife TV: And so that’s where forgiveness comes from? Bob Olson, Afterlife TV: And pretty much all these wonderful things of the highly evolved spiritual beings that’s where we’re trying to get to, is to be living from the soul. Mavis Pittilla: Absolutely. If we can move with my soul and I. If everything you do is in harmony with your soul and you, then you are living a good life. Perhaps not a perfect one, because you’ll have to be naughty sometimes, but you’re living a balanced, loving life and that’s what it’s about. Bob Olson, Afterlife TV: And with that said though, of course, what some religions would have us believe is that if we live that way then only good things will happen to us. You’re not saying that, I’m sure? Mavis Pittilla: No. No, I’m not. I’m saying that all things are pertaining towards being aware of that great spiritual love. We learn more by making the mistakes than we do by being just totally good. It wouldn’t do if you were a medium and you sat on a mountain somewhere; we need to be out there exploring and reasoning, and getting the reason between my soul and I. Bob Olson, Afterlife TV: So this is why bad things happen to good people. Mavis Pittilla: Live. We live here, Bob. This planet of ours – if you wanted a perfect world you’d have to take the animal out of the animal kingdom, the plant out of the plant kingdom. You’d have to take fish out of the sea for the perfection. In the Bible it says, “We were to have dominion over the Earth.” What God was hoping then, is that we’d learn to love to such a degree that we would not hurt our fellow man. So there would be no predators, it would all be living in harmony. That’s what he wanted us to have. Bob Olson, Afterlife TV: Considering the state of the world today, would you then say that we’ve gone awry, we’ve gone off-track, or would you also think that everything is perfect because we’re learning what we’re supposed to learn and having the experiences we’re supposed to have? I don’t know. Mavis Pittilla: I think we have to move to universal law, which is beyond our understanding. But when you look at the world, and you look at the history of the world, why don’t we learn that wars don’t work? They just don’t work. I’ve been to the most beautiful, beautiful place in Arnhem, where the Second World War veterans are buried there. It’s the most beautiful, peaceful place on earth. Out of all that horror, you step into that place of peace. I think we should put the United Nations in there, and not let them out until they’ve solved it. Bob Olson, Afterlife TV: And this is why so many people don’t want us to forget these wars. This is why it’s so important that we don’t. To remind ourselves of what we don’t want. Mavis Pittilla: Yes, absolutely. You wouldn’t want to know Hiroshima. No, we just wouldn’t want it again. But it’s people like you, who are the pioneers for peace, by your programs that actually are beginning to illuminate people into the awareness of their soul and their spirit. Bob Olson, Afterlife TV: We talked about universal law. How would you define universal law to us? Is it definable? Mavis Pittilla: I don’t think I understand it totally. I think I could give you a lot of platitudes about it, but actually I don’t believe that we could understand that. Absolutely. I know that as we evolve, and move, and have our being on this earth, there is a pattern and thousands, and thousands of patterns are coming out the same. And when we all meet, perhaps we’ll understand universal law, but I’m not a great one for platitudes. We can say this, and we can say that, but I think the nearest I know to Universal Law is Desiderata, that poem (Go placidly). And I think that Universal Law is about us learning to be proud of ourselves and to be proud of others, to forgive, to live and to be whole. That Universal Law, if it worked, would end corruption. Bob Olson, Afterlife TV: Right. All right, so let’s say it’s been about 47 years since you saw your first spirit who led you to healing. What have you learned in all this time? What’s either the greatest lesson or maybe a couple of the greatest lessons that you’ve learned from your work with spirit in all this time? Mavis Pittilla: Well, I think I’ve learned to understand myself, because you have to understand you. I’ve learned that I am a type of person that sometimes can go off on a tangent. And I’ve learned now that if I pray, and ask for help to balance that out, that it’s coming. Slowly, but I’m getting there. I’ve learned that miracles do happen. Mediumship, when it’s at it’s fullness, and it’s purest, shows us the greatest miracle. Because it shows us how love can continue. So, really I have learned such a lot. I’ve sat with Khabbalic teachers. I’ve been in Singapore with the Buddhists. I’ve done many, many materialistic things. Yet, it’s when you’re inside you, that you learn and create the miracles for the future. Bob Olson, Afterlife TV: Wow! In the United States, we always want the fastest route there. Mavis Pittilla: Instant coffee, because you make the best coffee in the whole world. Bob Olson, Afterlife TV: That’s right. I don’t know, I was in England and I had some grey coffee over there. I was trying to get it over here. I don’t even remember what it was called, but I was trying to get it over here, but that wasn’t possible. But yes, we want everything to happen very quickly. It’s funny you talked about meditation. I just haven’t had any success with that either, I’m just like you, in my head. So, some would say meditation is a great way to get to that place that you were just talking about. Are there any other ways? For me, it’s through experience. Have a experience, or several, with mediums, a spirit artist, channels, past life regressionists, life between lives regressions. Have all these kinds of experiences. I’ve learned more about myself by having these experiences; these personal experiences, more than even listening to other peoples’ vicarious experiences, like reading about someone else’s experience, hearing about it, watching it on a show. Having my own, I’ve learned more about myself just as you had said, than anything else. Any other little tricks of the trade that you could mention? Mavis Pittilla: Well, I use the Chakras a lot. I like the discipline of the Chakra because it affords me to keep centered, so it keeps my thinking. I also create what I call “A room with a view,” so I go through the Chakras to create an opening in my imagination, until it becomes clairvoyance. Then I go and I meet my family, I go and great my teachers over there. So I create it that way. In a way, if I can have my mind in a discipline, it will work for me. But bells and cymbals don’t work, Bob, for me. Bob Olson, Afterlife TV: Okay. So this is your form of meditation, really. I mean, some would call that meditation almost; working with the Chakras and everything. Maybe that’s us here in the United States, not there. I don’t know. Mavis Pittilla: I can really think that to look at the Chakras, first of all, you’ve got to understand that the Chakras are at your major organs. That’s where they are. So you can use your Chakra discipline to actually protect the organs. So if you’ve got an organ that’s malfunctioning, you can spend some time bathing it in different colors that will help it. As you’re working on that, you’re calming yourself down. When you reach the heart Chakra, you feel your heart rhythm, so you begin to get into a rhythm. And that’s where you can start to do your travelling. Bob Olson, Afterlife TV: That’s beautiful. I really like that. Mavis Pittilla: So I travel with my heart. Bob Olson, Afterlife TV: Excuse me? Mavis Pittilla: I travel with my heart. 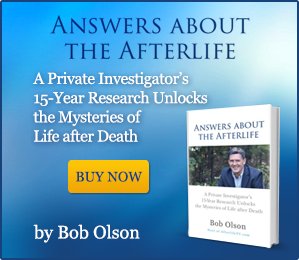 Bob Olson, Afterlife TV: Do you? Mavis Pittilla: Yes, I open all the Chakras, and then I open my heart and that’s where I start to go away. I look at other visions in other worlds. I mean, the reason that I know what I know, is because I’ve done it. And you can’t do that unless you have some form of discipline that lightens and opens that visualization that allows you to see other worlds and to sit with other teachers. Bob Olson, Afterlife TV: Is that anything like – it doesn’t sound like it but, have you had out of body experiences? Bob Olson, Afterlife TV: And that’s different, correct? Mavis Pittilla: Absolutely different. That is just visualization. Out of the body experiences is totally different. You can either travel across this planet or you can go to the spirit world. It doesn’t happen often, since I’ve got older, it happens less. Probably because I’m afraid of not coming back. Bob Olson, Afterlife TV: I love you. That’s great. I did a nice interview with a guy named Graham Nicholls and he talks a lot about out of body experiences. He’s younger than both of us. He tries to have these, and has a lot of success at it by purposely, intentionally making that happen. Not something that I’ve tried, but maybe someday I will. Why don’t we just finish with this idea? You know, I was wondering, you’ve given us so much advice today and I really appreciate it all. I wondered if you had some advice for those people in our audience who are grieving. There are so many of them. What would you say would be the best thing that they can do to try to ease, or comfort, some of their grief if they’re in a lot of pain right now? Mavis Pittilla: That’s really a very difficult one. We have to move through grief because we’re on a planet where grief hits us. I feel as if, as long as you’ve got someone who can hold you and just honor you, who can carry on talking about the person you’ve loved so much, until you move through the grief to talk about the sunshine days, the happy days. But I do believe that grief can be prolonged by being within yourself. Grief is about sharing. Share your grief. Find someone who’s not going to eventually say to you “I don’t want to make you cry,” because crying is like a rainbow bridge; it lights up two worlds. It’s the soul crying, so, tears are very important. I would say to people who are nurturing people that are grieving, allow them time. Allow them to show you your pain; their pain. Allow them to talk. Don’t close them off. And for those that are grieving, I would say, nurture the realization that we have a God who is a God of love, and created mediums so that they could still communicate, even in their grief, with the people they’ve lost. But even more than that, love like life, can never die. And if you are loved, and you have a loved one in the spirit world, just know they’re returning that love to you, 24 hours a day. But we have so many people who don’t want people to grieve, and it’s quite dangerous because you suppress it then. And suppression is not good for anyone. But you know, God’s not a jealous, angry God who created havoc and pain and suffering. The world and this planet does that. If we think about God loving us enough to create an opportunity for communication, it may help to ease their pain. Bob Olson, Afterlife TV: I love the idea of talking with people who are grieving about their memories with a loved one, because it brings us back full circle now, because that’s what their loved ones in spirit want, is to be remembered and to still be connected in that way. Mavis Pittilla: Absolutely. They love it. They love it. And remember, whilst we’re learning to understand it, to not be skeptical. To actually gives ourselves an opportunity or permission to go to a medium. Remember that’s exactly what they’re doing in the spirit world and they really need it, as much as you need it. Bob Olson, Afterlife TV: You know it’s interesting, people don’t know this, but a week ago you gave me a wonderful reading. Five or six of my loved ones came through, some who had never come through before, which almost seemed impossible to me. They were loved ones that I never thought I would hear from, because I hadn’t in so many readings I’ve had over the years and they did. One was an aunt that had just passed, last year, so that was just tremendous. In relation to what you were just saying, my father came through. Now, my father’s come through in every reading I’ve had. I expect him and God bless him for doing that, but one of the things he was talking about with you was the photographs that we have of him and how he liked the photographs that we had chosen for him because he looked good in that way. It really solidifies what you were just saying that, even after all these readings I’ve had, and my father’s come through in every single one, he’s talking about the photographs that I have of him in my home, because, it’s us remembering him. Mavis Pittilla: And it’s important to him. Bob Olson, Afterlife TV: Yeah, and it’s important to him, yeah. So I love that and I just wanted to share that with the audience because I thought it really nailed down what you just said, and I think it’s important that we all get that. It’s really important that we get that they want to still be a part of our lives. Bob Olson, Afterlife TV: Yeah, that’s great. Mavis Pittilla: And that’s all it’s about. Bob Olson, Afterlife TV: Yeah, wow. Yeah, that’s beautiful. Yeah. Mavis Pittilla: What a lovely thought. Bob Olson, Afterlife TV: Yeah, it really is. I like that. Alright, so we’ll stop there. I feel like I could talk to you all day long. I’m really enjoying this, so thank you so much. Mavis Pittilla: Oh, you’re welcome. Bob Olson, Afterlife TV: I do want to tell people your website is www.mavispittilla.com. Below this video, people can click and go right to your website. Pittilla is with two T’s and two L’s, correct? Bob Olson, Afterlife TV: Mavis Pittilla. And you do give Skype readings. That’s the reading that I had with you, was a Skype reading. How awesome is that. You can give readings to people all over the world nowadays, right? Bob Olson, Afterlife TV: And face them. 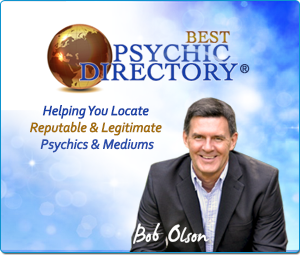 Bob Olson, Afterlife TV: And they can contact you through your website, right, if they want. Mavis Pittilla: Yes they can. Bob Olson, Afterlife TV: And you’re still teaching at Arthur Findlay? Bob Olson, Afterlife TV: I looked at your schedule and you’re there a lot. You’re doing a lot things there. Mavis Pittilla: Yes, and I’m coming over to America to work with James. Bob Olson, Afterlife TV: When? Well, they can look at your schedule and see that. Mavis Pittilla: I don’t know what I’m doing next week. So, I just know I’m going to be there. Bob Olson, Afterlife TV: And it’s all on your website, which is wonderful. And I know you guys had a cruise that you’re doing in Australia, that I wanted to promote, but I just looked and it’s already sold out. Bob Olson, Afterlife TV: But people can still put their name on a waiting list if they want to do that. That’s in late March, that that cruise starts. So if they want to get on that waiting list they can do that, again, through your website. All the links are there, everything is there. This is a blessing to me. I’m so happy to have met you. I’ve got to thank James for that because, boy, what a honor it is to me to have met you and to ask you these questions. I’m like a kid all over again, so thank you so much. Mavis Pittilla: It’s been an absolute pleasure and I feel honored that you’ve had me on your program. Thank you very much. Thanks. Bob Olson, Afterlife TV: Thanks Mavis. You take care.